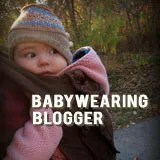 Hotslings Kid Pouches & Beco Minis Listed! Does your little one want to carry her dolly or his favorite stuffed animal just like you carry your baby? Buy a Hotslings Kid Pouch or a Beco Mini so your child can carry in style! Both boys and girls love to wear their own babies, just like mom and dad. Perfect for pretend play.